Street kids are disappearing, but how do you report that to the police when, from their standpoint, the missing people didn't exist to begin with? Hustle is certain that something bad has happened to his friend Jinx, and the only person he can turn to for help is private investigator Shaye Archer. Because Hustle helped the young PI while she was investigating her first case, Shaye has already formed an opinion as to his character and believes he's telling the truth. Nine years ago, the police found Shaye Archer wandering in the French Quarter, beaten and abused and with no memory of the previous 15 years, not even her name. 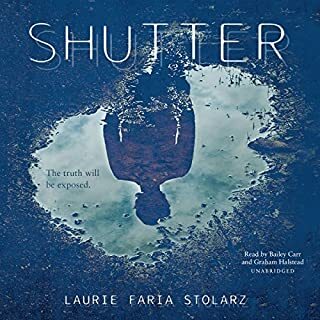 Now, at 24, Shaye is a licensed private investigator, determined to get answers for her clients when the police can't help. But her last case uncovered more than anyone anticipated, and pieces of Shaye's missing past have surfaced with unexpected consequences. She's starting to remember. Madison Avery is a young woman with a huge problem. From her penthouse apartment, she witnessed a murder in the building across the street, but by the time the police arrived, the crime scene had been wiped clean. Unfortunately Madison suffers from prosopagnosia - face blindness - so even though she had a clear view of the murder, she can't describe the victim or the killer. With no forensic evidence that a crime was committed and no description of the victim to match to a body, the police have no choice but to close the file. College student Tara Chatry is certain something bad has happened to her best friend Ethan Campbell. The smart, geeky student has disappeared, and when Tara tries to get the police involved, they dismiss her concerns, convinced Ethan is just another college student off on a bender. Shaye Archer hasn't even been back in New Orleans for a full day when Tara knocks on her door, asking for help. Shaye isn't prepared to jump back into her old job, but knows if she doesn't help Tara, no one else will. 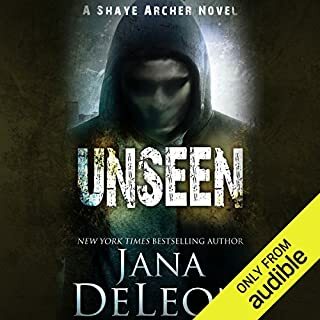 From New York Times best-selling author Jana DeLeon, the first in a new thriller series. Everyone wondered about Shaye Archer's past. Including Shaye. Shaye Archer's life effectively began the night police found her in an alley, beaten and abused and with no memory of the previous 15 years, not even her name. Nine years later, she's a licensed private investigator with a single goal - to get answers for her clients when there aren't supposed to be any. And maybe, someday, answers for herself. Emma Frederick thought her nightmare was over when she killed her abusive husband, but someone is stalking her and tormenting her with mementos from her past. 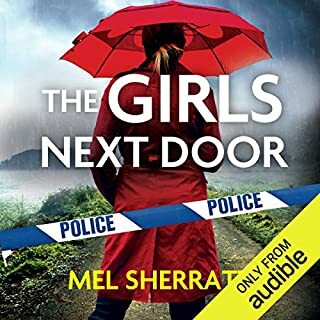 With no evidence to support her claims, the police dismiss her claims as post-traumatic stress, but Shaye is convinced that someone is deliberately terrorizing Emma...playing a cat and mouse game with only one goal in mind. 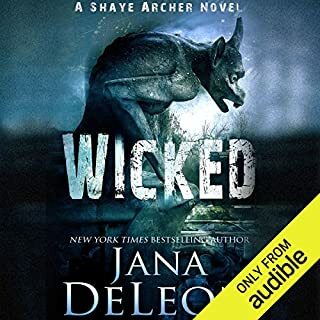 ©2015 Jana DeLeon (P)2017 Audible, Inc. I thoroughly enjoyed this book from the beginning right to the surprising end. It held my attention and was full of twists and turns. I'm looking forward to the next book in the Shaye Archer series and I doubt if this author will disappoint. I’ve never listened to such an insipid whiney narrator. The plot was excellent but having to listen to the sniveling made me want to ask for a full refund. Buy the hard copy instead. Good-cop, bad-cop; war crimes; lonely widow attended by faithful family retainer; nosey neighbour; orphan girl with mysterious past; ... this book has it all. Raises the evil-twin stakes to new heights. This being the first book in the series I was expecting some character flusing out and that is what happened. 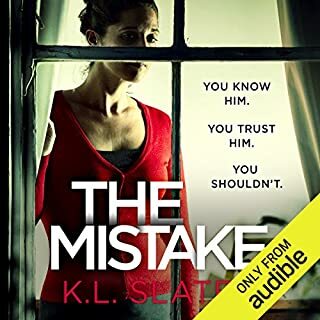 Shay Archer a newly minted Private Investigator with a very traumatic past of which she has no memory, takes on a case of a woman who is being harrased by her dead ex-husband, whom she happened to have killed. The story moves at a decent pace. The villian is sufficiently sick and cunning to be scary and the seach for them progresses well. Unfortunately the author decided the ending needed an unexpected twist that for me ruined the story. I won't spoil the ending here. Also there is a collateral death that goes unexplained which made the story feel unfinished because up to this point even minor events get explained. I never warmed to the narrator's voice. All her male characters had the same voice, sort of a semi-surfer dude voice and the female characters all sounded in the fits of hysteria, even the ones that were meant to be calm. I would be willing to try another Shay Archer book, but I don't think I would be willing to sit through it with the same person doing the performance. Loved it, twists and turns were riveting. 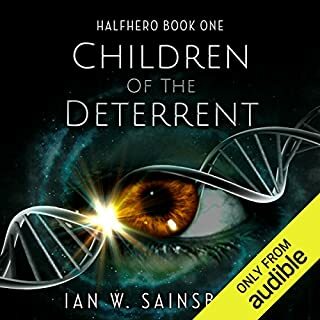 I will be downloading this entire 6 audiobook series! Too much religious claptrap was the most off-putting part of this book. 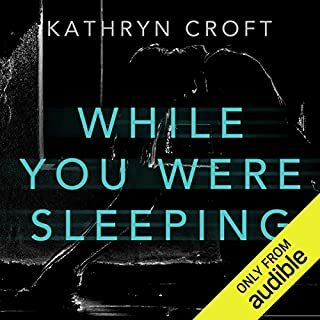 Other than that, the narrator sounds like a robot, and the dialogue sounds like the worst of a cancelled police procedural. I would not recommend this book at all. I enjoy when a book actually has some hard to see twists in it! Decently suspenseful also, however, the narrator has a weird voice. I can't decide if I liked this book or not. I am on the fence, and may read the next in the series to see if it's something I really want to continue. The premise is interesting enough. your standard detective series. But the author seems like she can't decide if she wants this to be an origin story for the main character, or a series set up. As such, learning about the main character's past seems out of place and forced in the main story line. It also makes her seem too similar to the secondary main character; the victim. All of the characters seemed a bit similar and at times it was hard to figure out who was who. This was made worse when the narrator would use the same voices. All of the men sounded the same! The twist at the end was convoluted. 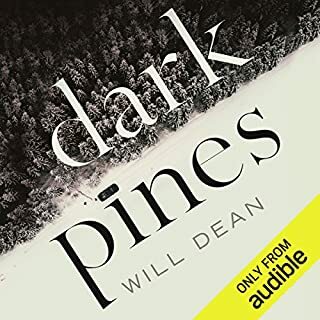 It introduced so many characters all at once in a rushed manner to tie up the ending, so I had to listen to it twice to figure it out, which took away some of the oomph of the twist for me. Also the ending came across a bit transphobic. The trope of the person who feels trapped in their assigned gender and wants to live in another and it becomes the motive for them to be a serial killer isn't creative in my opinion. It's an outdated trope that can be harmful. I literally rolled my eyes when it was revealed. Felt a little lazy and even the characters were written in a way that it didn't really make sense. I actually think the book would of been better without the twist ending. it's not really a terrible read, just not a great one - especially for something meant to get you hooked on a series. But it's like a pilot episode of a TV show. sometimes the first one isn't great but it gets the groove. So we'll see! I bought this book on sale so for the sale price it was a good bargain. Not something I'd pay full price for. 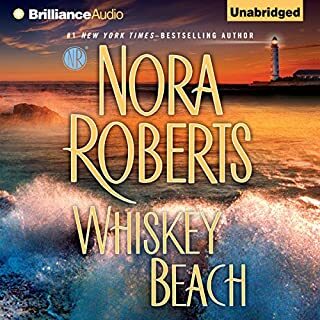 I enjoyed this audiobook and will look for more in this series. It was a solid 4 out of 5 and I would recommend this book to anyone who enjoys mysteries. I think of cozy mysteries and humor set in Louisiana when Jana DeLeon is mentioned. 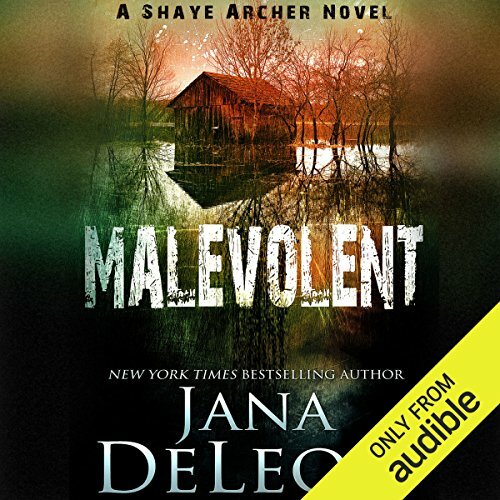 Malevolent is set in Louisiana, but it is a psychological mystery/thriller rather than a light, fun, and humorous cozy mystery. It is also a solid 5 star novel with excellent narration. 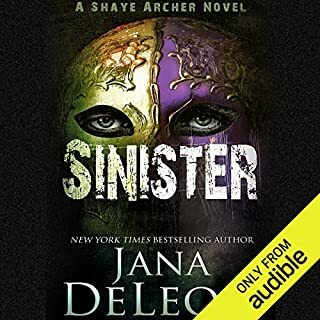 This is the first book I’ve read by Jana Deleon. I’m so glad I it shot. Malevolent is the 1st book in this series. It took me several chapters to figure out how I felt about it and I almost gave up but I’m so glad I finished the book. This is a series that order matters! In this book, one of the characters is very freaked out by a stalker. A newly established PI is hired to figure out the identity of the creeper. At first I thought the performance was over dramatic, but halfway into the story I was fully captured and found myself listening late into the night. Four days later and I’m on book 3 in the series. If you like Karen Slaughter or Lisa Gardner you’re going to love this series. The characters are well developed and easy to fall in love with. 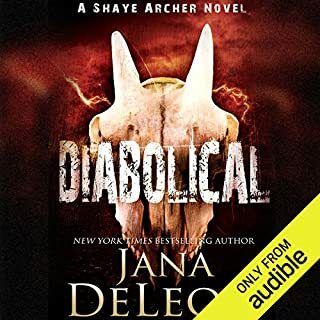 Julie McKay is a fanatic voice performer and a great match for this series by Jana Deleon. I’m finding each book is very than the last. P.S. You might find it best to pickup the book from Amazon. I bought the audible version for $1.99 after buying the Kendal ebook version on Amazon for $5.99. If you like The Fixer series GET THIS!! 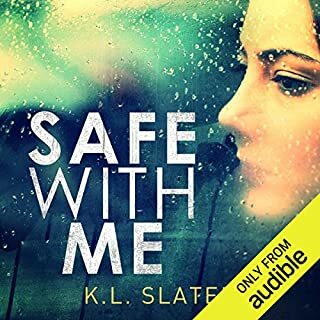 I really like this new to Audible series. Our heroine is Shea Archer. She can't remember her abusive past but can read about it in the newspaper. She is plagued by nightmares, afraid of the dark and hopes to learn the truth one day. Adopted by her foster mother the second half of her life turned out pretty good. This book is the first in the series and it is EXCELLENT! Shea is now a private investigator and gets hired for her first job. A woman killed her abusive husband in self defense and now he's stalking her and trying to kill her. This is not a supernatural story. Shea is hired to find out who this man is. The book is an edge of you seat suspense. Shea is a very believable character with flaws. The book leads you to one suspect and I thought I had it all figured out but the end throws on a totally unexpected twist. My thoughts of easy predictability went right out the window! I can't say enough about this book. 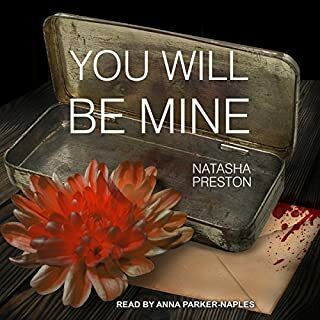 You can purchase this book for FREE on Amazon and then it is only $1.99 on Audible! Julie McKay does a great job narrating. WOW......Need I say more. This is a must-read!! You must read this novel. You won't be able to put it. The charactes are written where you fall in love with them & want to read more. 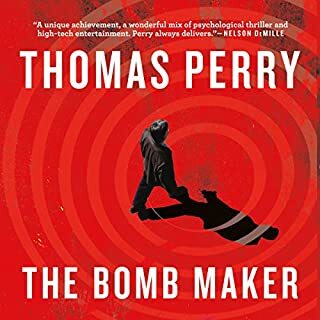 I bought this as an audiobook and really enjoyed listening to the narrator. I can't wait to read or listen to more of this author. It is a must-read book. This was a good book. I really enjoyed it. It started out with a bang for sure. It stayed good too. There was excitement and things happening all the way through. No filler nonsense. The story line and plot was good. Wow was this bad guy a psycho!!!!! Made for a great story though. I really liked Shaye's character and look forward to more of books in this series. Someone compared this book to The Fixer by T.E. Woods. NOT! 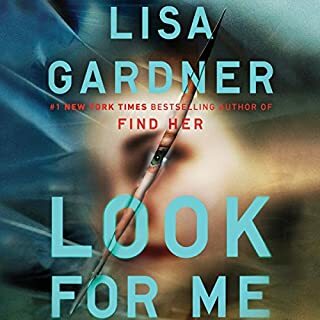 Although, I liked this book a lot there is NO comparison to Lydia Corriger or The Fixer story. The Fixer is amazingness! If you haven't read The Fixer Series you should. Anyway, back to this book, it is very good. As for the narration, it was kind of annoying and robotic. A struggle at first but then you kind of get used to it, only because the story is good. Julie McKay needs to work on her narrations and voices. I really loved the story. The twist at the end was not what I expected. However, the narrator's voice was awkward. I want to listen to the next book. But I can't listen to that voice again right now. The storyline wasn’t too bad, narration somewhat lacking. The constant overuse of two phrases became quite annoying. She nodded/he nodded and she blew out a breath/he blew out a breath. I love Jana DeLeon’s writing. Her previous books were so entertaining, I loved the humor and the way she developed her characters, but these books are another level. I’m currently on book 4 and I am in for the ride. And being from Louisiana I am enjoying the local names and feel of the books. There are some truly wicked characters in this book. Even the heroine, Shaye, has a very abusive past which is only hinted at. I just can’t believe the world is this full of truly wicked sociopaths - at least not at the population density required for this novel. The plot was interesting - but beyond believable and very difficult to follow. The main characters were very interesting and well developed. It seemed all minor characters were just there to provide bodies and there were a lot of those. 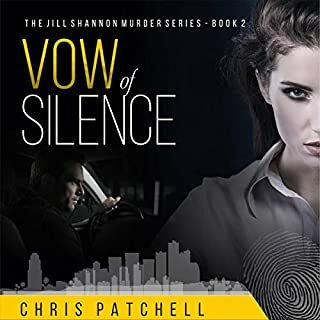 I liked Shaye, her family, and officer Jackson and feel there is plenty of opportunity to continue them in a long series - but I doubt I will listen to any more. 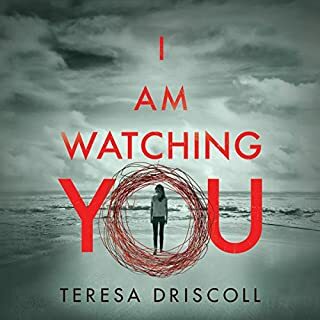 I liked the author’s writing and the narrator was great but I don’t want to spend anymore of my time in books with so many psychopaths. I couldn't get over the using of the same phrases over and over again especially "he/she nodded", it was ridiculous! Another pet peeve is when the author does not allow the situation unfold but has to tell the main character(s) backgrounds all at once in beginning monologues...That's how this book begins. However, there were some interesting characters, but I was more interested in the background characters then I was in the main characters. I did not think this was a solid story and the narration was annoying at times. I won't be continuing this series and will avoid the narrator.